Science4Us.com is a complete online, standards-based Science curriculum for students in K-2nd grade. 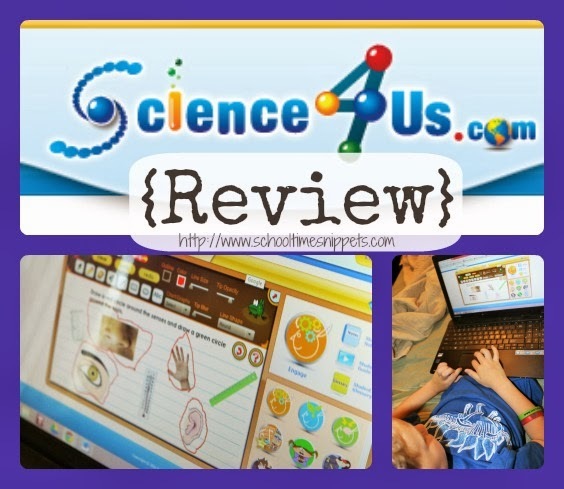 Being a part of the Schoolhouse Review Crew has allowed us to most recently review, Science4Us.com Online Subscription. I thought it would be a great way to encourage two things my son enjoys- being on the computer and learning about science. Not surprisingly, he enjoyed learning with this interactive Science program. From the creator of Vocabulary Spelling City, John Edelson teamed up with science specialists, curriculum experts, teachers, and designers to create Science4Us.com. 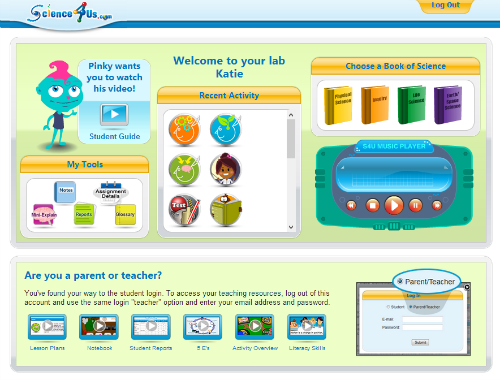 Science4Us.com provides Teacher Guides and offline activity lessons specific to Kindergarten, First, and Second Grade. It also may be used for review for 3rd-5th graders. We used Science4Us.com with my first grader. At first I only allowed my son to use this program when I specified, however my husband suggested letting him play whenever he wanted because he enjoyed it so much. It was very child-friendly so my son was able to login and access the lessons at his choosing. Over the past several weeks, he has used Science4Us.com almost everyday, and sometimes twice a day! He loved the comic-like animation, but was "won over" by the interactive games he was able to play while learning. His favorite was the golf game when learning about Force. Lesson plans & teaching strategies for Educators. 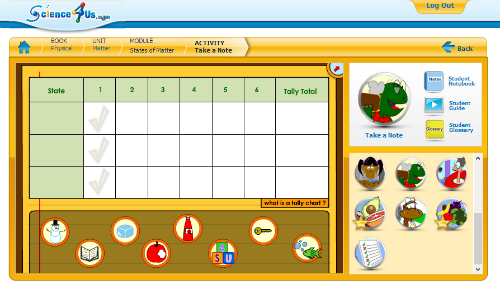 Added literacy and math skills, such as syllables and reading graphs. Freedom to learn on the couch and/or in bed; because it was computer-based and we used a laptop., we were not confined to only working at the table. Sometimes even his little sister joined him! Lack of hands-on activities/ experiments; exploring concepts by playing on the computer is a lot different than exploring them by using actual tools. Although the curriculum was very interactive and playful, to truly grasp the concepts hands-on activities is a must! Too much computer time; my son logged in 1828 minutes! Even when I assigned two to three activities within a module, he kept on playing. I wish the program had some type of "stop" message and/or locked him out after completing the day's task. The fact that I was not able to view what my son had completed without clicking through to every module; I wished that along with showing me a brief overview, it listed the modules my son has opened, lessons in progress, and lessons completed. Because of all the extra materials and separate educator login, it is not "open & go," which is something I need in this season of life. I would much prefer a weekly email of my son's progress and extension activities instead of logging in to my account for that information. Assessments- I do not need this for our records, so I felt the assessment at the end just added extra "pressure" to the playfulness of the program. I understand why it is there, but I would prefer "testing" their understanding through conversation and/or actual pen and paper notebooking. Science4Us.com has much to offer if you don't mind searching through modules, printing materials, and reading through various explanations. There is a lot of information to sort through and you could use as little or as much of it as you wanted depending on your goals. I could see this being used as a main science curriculum by completing a couple activities online on one day, performing hands-on experiments the next, and then using it to assess knowledge at the end of the module, if that is your goal. We received a 6 month subscription for this review and will continue using it as a supplement to our existing studies and/or per my son's request. Head on over to see what other Crew Members thought. Click here to read more reviews.